Today is the birthday of Benjamin Truman (1699 or 1700-March 20, 1780). He “was a notable English entrepreneur and brewer during the 18th century. He is notable for the expansion of the Truman Brewery in the Spitalfields area of east London.” His exact birth date is unknown, so I’ll use the day he passed away in 1780. Portrait by Thomas Gainsborough, painted between 1770-74. 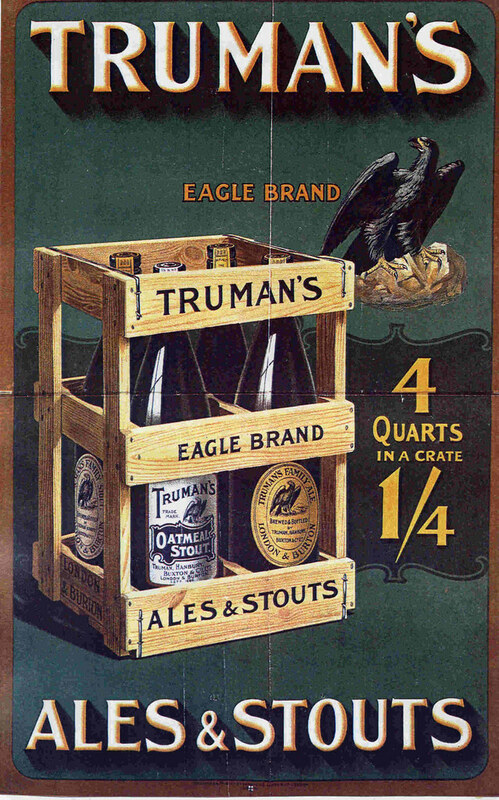 Under Truman’s management, the Black Eagle brewery increased substantially in prosperity and size, and Truman divided his time between the brewery’s Directors’ House and a home, Popes, in Hertfordshire. Truman was knighted by George III on his accession in 1760 in recognition of his loyalty in contributing to the voluntary loans raised to carry on the various foreign wars. 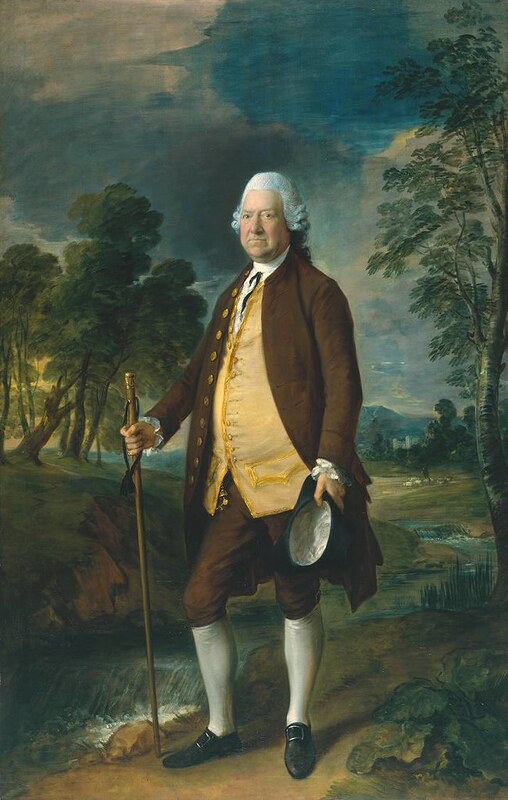 His portrait was painted by George Romney and Sir Thomas Gainsborough (c. 1773-1774); the latter has been part of the Tate Gallery collection since 1978. Truman died on 20 March 1780, and left a daughter, his only child, whose two grandsons (Sir Benjamin’s great-grandchildren), John Freeman Villebois and Henry Villebois, succeeded to his interest in the business. Truman was buried in the Churchyard of St Mary’s, Hertingfordbury, Hertfordshire. Together with his memorial is that of his wife Dame Frances Truman who died 10 June 1766 aged 66 and James Truman Esq., died 11 November 1766 aged 42. Another portrait of Truman, this one by George Romney. The Black Eagle Brewery at Spitalfields of Messrs. Truman, Hanbury, Buxton & Co., Ltd., is one of the oldest in London and covers an area of over 6 acres. The founder was one Thomas Bucknall, who in 1669 erected a brewhouse on ‘Lolsworth Field at Spittlehope,’ an estate then belonging to Sir William Wheler, bart. The business passed in 1694 into the hands of Joseph Truman the elder, the property consisting of six messuages and one brewhouse. The remainder of the Wheler estate was built upon and covered with streets, and part of this property has since been acquired by the firm for the extension of their premises. Joseph Truman was a successful business man, and in 1716 took into partnership Joseph Truman, jun., Alud Denne, and others. He died in 1719, and a curious document of that date is in the firm’s possession described as ‘An inventory of the goods, chattels, and credits of Joseph Truman, which since his death have come into the hands, possession and knowledge of Benjamin Truman, Daniel Cooper, and the executors named in the will of Joseph Truman.’ Benjamin Truman who was an executor of Joseph Truman, sen., joined the firm in 1722. An anecdote which exhibits his shrewdness as a business man is told by J. P. Malcolm. On the birth of the Duchess of Brunswick, granddaughter of George II, in August 1737, the Prince of Wales ordered four loads of faggots and a number of tar barrels to be burnt before Carlton House to celebrate the event, and directed the brewer of his household to place four barrels of beer near the bonfire for the use of those who chose to partake of the beverage. 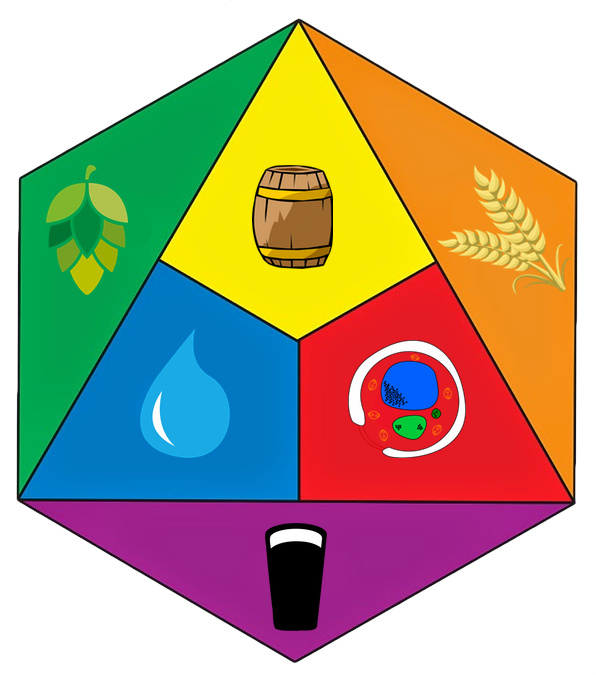 The beer proved to be of inferior quality and the people threw it into each other’s faces and the barrels into the fire. The prince remedied the matter on the following night by ordering a fresh quantity of beer from another brewer. This was supplied by Truman, who took care that it should be of the best, thus earning for himself considerable popularity. ¶Another early document possessed by the firm, dated 1739, is endorsed, ‘A “rest” taken and general account stated of all debts and credits, and also of the malt, hoppes, coales, beer in the several store cellers and brewhouse, with all the other goods, utensells as affixt, used and employ’d in the brewing trade carried on by Benjamin Truman, John Denne, Francis Cooper, and the surviving executors of Alud Denne, at their brewhouse and several warehouses, situated in Brick Lane, in the parish of Christchurch, in the county of Middlesex.’ At this time the brewery was very extensive, and had on its books 296 publicans, one of whom was the second partner in the firm, Alud Denne. The business greatly prospered under the management of Benjamin Truman, who was knighted by George III on his accession in recognition of his loyalty in contributing to the voluntary loans raised to carry on the various foreign wars. Sir Benjamin was a man of refined taste and a lover of the arts; his portrait by Gainsborough is preserved in the board-room, formerly the drawing-room, of the house in Brick Lane. 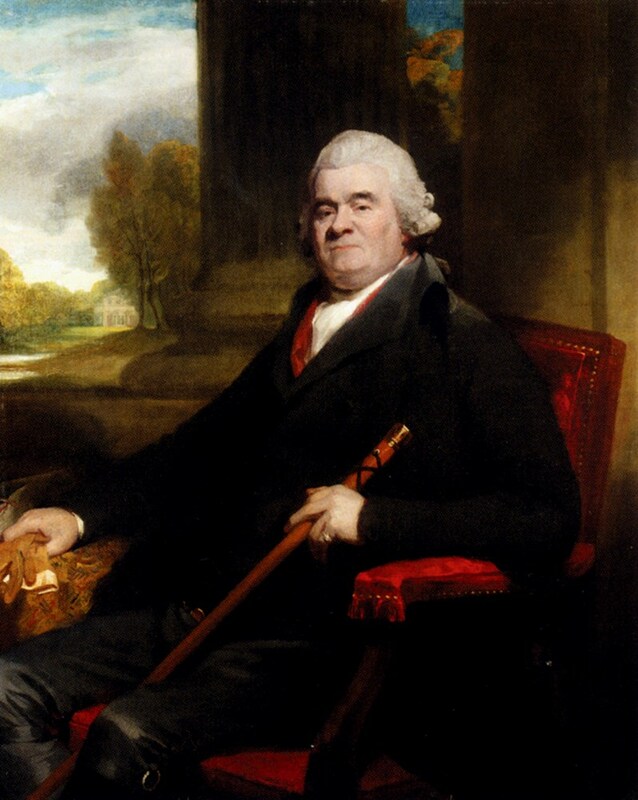 Sir Benjamin Truman died 20 March 1780, and left a daughter, his only child, whose two grandsons (Sir Benjamin’s great-grandchildren), John Freeman Villebois and Henry Villebois, succeeded to his interest in the business. The brewery on Brick Lane in London. The original brewery was probably established by the Bucknall family, who leased the site in the seventeenth century. 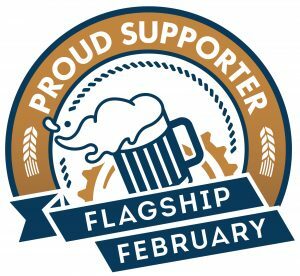 The site’s first associations with brewing can be traced back to 1666 when a Joseph Truman is recorded as joining William Bucknall’s Brewhouse in Brick Lane. Part of the site was located on Black Eagle Street, hence the brewery’s name. Truman appears to have acquired the lease of the brewery in 1679, upon the death of William Bucknell. Through the Truman family’s efforts – not least those of Sir Benjamin Truman (who joined the firm in 1722) – the business expanded rapidly over the following 200 years. By 1748 the Black Eagle Brewery was the third largest brewery in London, and likely the world, with 40,000 barrels produced annually. In the mid-18th century Huguenot immigrants introduced a new beverage flavoured with hops, which proved very popular. Initially, Truman’s imported hops from Belgium, but Kent farmers were soon encouraged to grow hops to help the brewery meet growing demand. Sir Benjamin died in March 1780 and, without a son to take on the business, it passed to his grandsons. In 1789, the brewery was taken over by Sampson Hanbury (Hanbury had been a partner since 1780; the Truman family became ‘sleeping partners’). 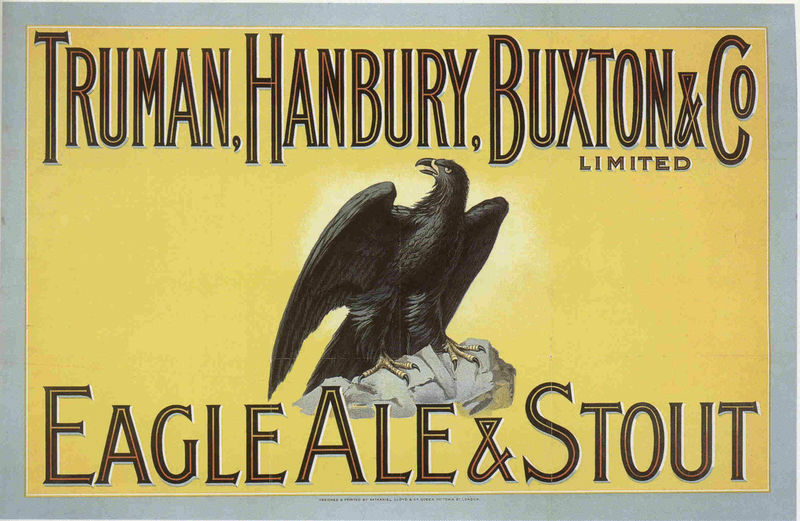 Hanbury’s nephew, Thomas Fowell Buxton, joined the company in 1808, improved the brewing process, converted the works to steam power and, with the rapid expansion and improvement of Britain’s road and rail transport networks, the Black Eagle label soon became famous across Britain (by 1835, when Buxton took over the business upon Hanbury’s death, the brewery was producing some 200,000 barrels (32,000 m3) of porter a year). 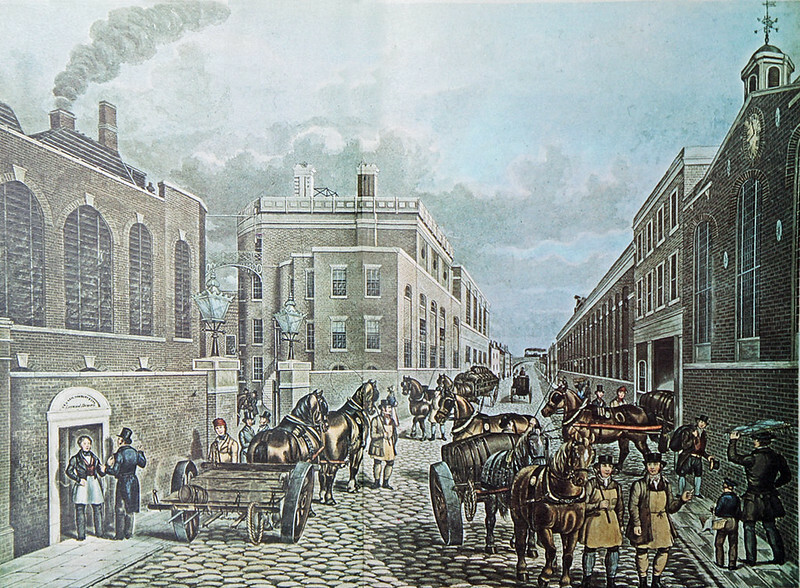 The Brick Lane brewery – now known as Truman, Hanbury, Buxton & Co – took on new partners in 1816, the Pryor brothers (the company’s owners were renowned for their good treatment of their workers – providing free schooling – and for their support of abolitionism). By 1853 the brewery was the largest in the world, producing 400,000 barrels of beer each year, with a site covering six acres. 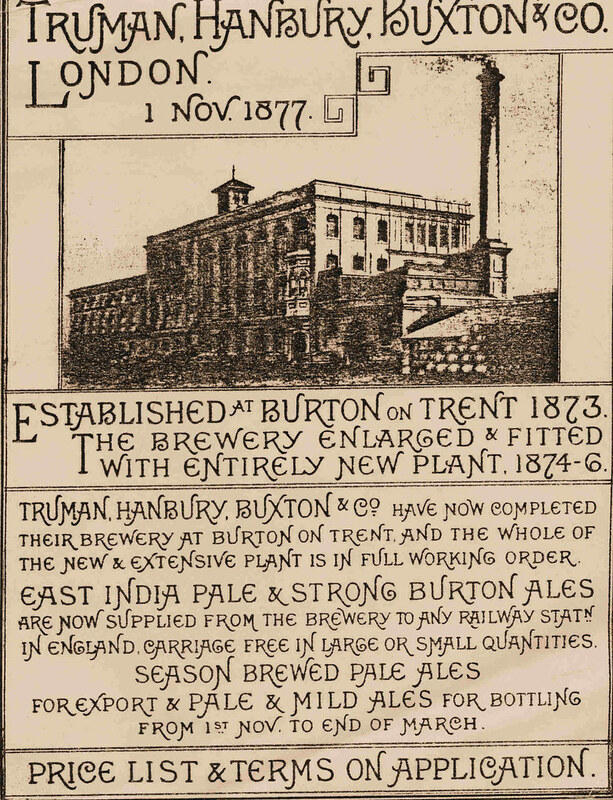 However, the company also faced competition from breweries based outside London – notably in Burton upon Trent, where the water was particularly suitable for brewing – and in 1873 the company acquired a brewery (Phillips) in Burton and began to build a major new brewery, named the Black Eagle after the original London site. In 1888, Truman, Hanbury, Buxton & Co became a public company with shareholders, but the balance of production was now shifting to Burton. The Brick Lane facility remained active through a take-over by the Grand Metropolitan Group in 1971 and a merger with Watney Mann in 1972, but it was in terminal decline. It eventually closed in 1989. Truman, Hanbury, Buxton & Co. was a venerable British brewery that operated for more than 3 centuries before it closed its doors in 1988. 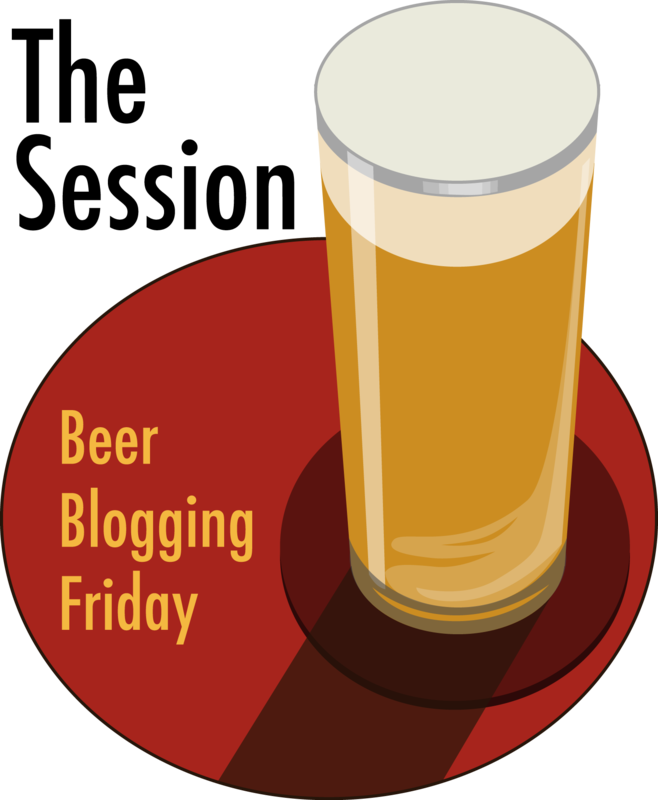 The original brewery was built on Lolsworth Field, Spitalhope, London, by Thomas Bucknall in 1669. 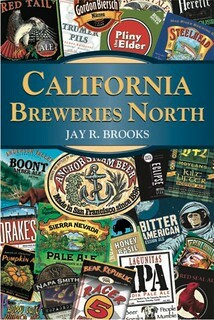 He was soon joined by Joseph Truman, who became brewery manager in 1694. Joseph Truman brought Joseph Truman Jr into the company in 1716 and his executor, Sir Benjamin Truman, who took ownership of the business in 1722. Two years later a new brewery, The Black Eagle, was built on nearby Brick Lane, which grew to become Britain’s second largest brewery, employing some 1,000 people. Sir Benjamin died in 1780 without a direct male heir and left the brewery to his grandsons. 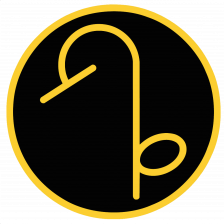 In the same year, Sampson Hanbury became a partner and took over control in 1789. His nephew, Thomas Fowler Buxton, joined in 1808. He improved the brewing process by adopting innovations in brewing technology brought about by the Industrial Revolution. Outside his activities in the brewery, Buxton was a renowned philanthropist, and he was elected a member of Parliament in 1818. He was associated with William Wilberforce, a leader in the fight to end the British slave trade. By the time of his death in 1845, the brewery produced about 305,000 hl of porter annually. The brewery is even mentioned in Charles Dickens’ David Copperfield (1850). 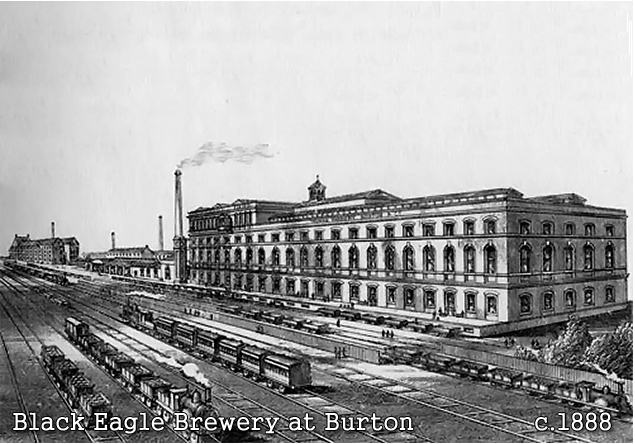 Seizing upon the growing influence of Burton as a brewing center in the 19th century, the company acquired the Phillips brewery there in 1887 and 2 years later became a public company. But its fortunes declined with the shift in popular taste away from porter toward pale ale near the end of the 19th century. In 1971, the brewery was acquired by the Grand Metropolitan Group, which, in turn, was merged into Watney Mann 1 year later. Thomas, Hanbury, and Buxton ceased production in 1988 but its brewery still stands on its site in Brick Lane, London, where it has been redeveloped into a complex of residential housing, offices, restaurants, galleries, and shops. They also later built a Black Eagle Brewery in Burton. As you’d expect, Martyn Cornell has an amazingly thorough account of Trumans, which he refers to as When Brick Lane was home to the biggest brewery in the world.